WOW – my batteries were recharged this past week. A great group of owners, managers and receptionists met for 3 days in VEGAS! and shared amazing ideas and strategies on Staffing, Marketing, Inventory Control and so much more. Loyalty points system is in place and working for about half the group. After the meeting I’ll bet (haha) everyone gets on the Client Loyalty bandwagon. BIG ideas included using the points to automatically reward rebookings, referrals, and retail purchases, rolling ALL of those marketing strategies into a self running client rewards program. Activating the points to show on the workticket, at point of sale, and on the client receipt. Idea: make it a policy a NOSHOW loses their points! Idea: delete all points at the end of the slowest month of each year and everyone will come in that month to use their points! Surveys were a big topic. Everyone signed on to Survey Monkey and looked at Mikal’s 5 sample surveys and learned how to attach them to the Mikal Autopilot new client, reminder, and other automatic emails to get TONS of immediate feedback from clients. IDEA: share the survey results in staff meetings. These ideas are only a few of the ones I jotted down during the CAMP. So DO NOT MISS the Winter Camp January 19-21, 2019. Call for the Early Birdie pricing and sign up NOW to save $70 and get the 5 easy squeezie payment option. Just In Time Appointments FILLS your Book! Today’s client is conservatively impulsive! That means they hold on to their money as long as they can but when the urge hits them to buy something - they do! (Remind you of anyone you know?) 30% of all clients make daily buying decisions based on "Groupon" type deals that are delivered to their in box. So you combat that with posts on Instagram and Facebook? How far down on the client's feed is your post if they don't look at it for an hour? Plus - At the same time in this summer economy clients slow down their visit frequency. Clients are stretching their appointments out and did you know if your average client puts off their visits by just one more week that can mean a 15% decrease in sales volume? OUCH! JITA is the answer. Just In Time Appointment offers take advantage of the new buying trends and increase client visits and income. JITA looks at your book each morning and checks for available times. Then JITA e-mails/texts clients who you want to offer these appointment opportunities to. Only each service provider’s clients that have opted in to JITA, only for the services you want to promote, only for the times of day you want to build, and only to clients that do not have a future appointment. JITA makes smart marketing offers! So you need to get JITA going NOW! It only takes minutes to set up and runs every day automatically. Call MIKAL and get your JITA going - NO revenue share, only sent to opt-in clients that don't have a future appointment! JITA is smart. Call us at 513-528-5100 and get BOOKED! Just imagine.................Having your MIKAL computer look at the cancellations and availability in your book and automatically sending appointment opportunities to your clients. The book fills up! Like MAGIC….Your JITA Genie has arrived! Every night our system looks at the availability in your book and sends your clients an e-mail or text message inviting them to take advantage of the booking opportunity. We call it JITA the Just In Time Appointment system. What is JITA worth to you? If JITA adds just one appointment per day for a service provider and the average service is $40 then JITA will increase sales $8000.00 per service provider per year. EIGHT THOUSAND DOLLARS! That is a 10 percent increase in sales for the average service provider. WOW. PLUS - when a client cancels how much time do you spend trying to fill that appointment? Do you call the wait list, try to rearrange the book? Save all that time and know that JITA is working for you every day.Cross market openings for Spa to Hair clients and Nail to Spa clients – automatically. JITA runs and the book fills up! Wish you were booked SOLID? You decide who gets the JITA offers. You decide to send only to clients who do not have a future appointment for that service. You decide the limited number of offers for each employee. You decide if JITA offers morning, afternoon, or evening booking opportunities. You decide the service recommendations that match each employee's services. You decide if there is a discount. So unlike web based services that you have to pay for and revenue share the booking income with..... YOU ARE IN CHARGE. You don't have to give discounts. You don't create clients who WAIT for appointment offers. You don't have staff mad at discounted offers being done during busy times. You don't give your client list to someone else. Do you practice Experience Marketing? Today’s consumer is more and more inclined to spend money on experiences than on items. Experience purchases now win out for up to 40% of all consumers. It is over 60% of millennials would rather spend on experiences than items! How do we take advantage of this trend? We offer mini experiences. We set up the system and salon/spa to support the client WOW. Packages with RICH descriptions. Services on our web site with details benefit laden descriptions. Scripts for our staff with the same…………..
What we don’t do: discount our packages and make them a commodity (think ITEM). Sell gift cards for a cheaper rate – where is the experience part of the sale? -	Come up with a first time offer for the price check prospects for each area of the salon/spa. Tie to your Google offer, your Social media, and your referral program – is this working for you? -	Set up a pdf you can instantly e-mail for the client screen for the price inquiries – do you have? -	Set descriptions of all services for pop up that are packed with benefits – do you have set up? -	Train the staff especially the desk to use the benefits – script and role play! -	Use the Up-$ells to add on the experience services that WOW – are they being used? -	Review your USPs – do you work on these items every week? -	Use the EMBA to prebook at the chair/station – know why this is powerful? -	Video the finish or make up touchup on the client phone – do you do this now? -	Reward the client with instant rebates of the loyalty points on each visit – set up? -	Use the Xris-Xross marketing to suggest NEW client experiences – set up and running? -	Publish the positive client experience comments – make sure it is available on Google! -	Promote the client experience options in your business – are these part of your USPs? -	Make sure you have a mini client experience option – know why this is critical? -	Put together packages, series and Events to keep the client experience fresh – important! Now is the time to get on these programs and strategies. This trend for experiences in going to grow and if your salon/spa is not positioned for this big change in consumer buying you will miss out! Come to MIKAL CAMP VEGAS for a full day detailing how to implement each of these ideas. I want to share with you one of the biggest challenges of my career in the beauty business and how I recovered with the knowledge I have gained from you and your team and with our MIKAL software. In March two employees moved several blocks down to a booth operation. One stylist was the top producer who had seven years with us. The other stylist had been with us for twenty years and was a reliable performer. They accounted for more than $200,000 of gross income. Our contract was implemented in 2011 so both were excluded. I considered them to be loyal employees. It's the familiar story: both came to us with nothing and we supported them with supplemented education, benefits, and support in their personal lives. I called all the "monthlies" which could be negotiated and did so. We had recently cut back to bi-weekly payroll which was fortunate. I used the inventory software to make tough calls on products leaving and staying. When distributors challenged me I remained steadfast. I asked my top producer if she could give me two Saturdays a month. (She said "yes". I discontinued the housekeeping position in the daytime and hired three new talent salaried stylists over a six month period to perform these duties. I created retail specials for six week periods and produced framed signage at each station, easel signs, and foam board signs on restroom doors.We used an in-house graphic design software then emailed the product and specs to Kinkos and produced a professional looking sign for a very reasonable price. I created bundles of all kinds seasonally. We put small cards with retail promotions in every welcome bag for new clients. * 1. Clients who came every 8-10 weeks for haircuts only. * 2. Clients who came every 4-6 weeks for haircuts. * 3. Clients who came every 8-10 weeks for color and cut services. * 4. Clients who came every 4-6 weeks for color and cut services. * 5. Clients who came regularly for straightening or keratins. *1. Next haircut is on the house. NOTE: all these offers were for clients who had been to the stylists at least 3 times in the last 12 months. Easy to find and automatically generate with MIKAL. I did not want to give deals to salon or house clients or newer clients who where not yet loyal to the stylists that were exiting! * 3. Next color and cut are OTH. * 5. Next keratin or Japanese Str8r OTH. I personally made calls for up to five hours a day. Over a six month period I continued to place emails and phone calls to clients who had not returned. I personally recommended a stylist(s) for each client. ALL LOYAL SERVICE PROVIDERS WERE PAID IN FULL FOR SERVICES. Clients who received one free color and cut received a promotional card to get the next cut and style free with their next color service with any stylist of their choice. I bought a unique hole punch and used that to punch a business card to create a gift certificate to check against the transactions in the MIKAL sales history. Departing stylists were frantically texting and calling loyal stylists about what clients were coming in. Stylists wondered why the departing stylists had so much time to text and call. Loyal stylists were increasingly busy and verbalized that the departing stylists had made a mistake. They expressed loyalty to our salon. Clients verbalized to me that they had wanted a change for a time but were reluctant to "hurt" the long time stylist. Within two months 2/3 of the contacted clients for the 20 year stylist visited. Within 2 months 50% of the contacted clients for the top producer visited. Clients verbalized to me how much they appreciated my personal attention. A few clients returned but did not want to take advantage of any offer. In less than two years, our numbers returned to the March figures. On March 1, not even two years later, the booth rental salon closed its doors. We could not have survived this challenge without many years of education and input from your team. We could not have recovered so well without the MIKAL software. I have learned many painful lessons and maybe they can help another owner. My dear friend, Fred. One last tid-bit. I paid off the last piece of debt incurred after the walk out and another salon disaster last month. We had borrowed almost a million dollars across a bank, SBA, and SBA loan and paid it off in less than eight years while growing the SECOND location. Thanks for being a key piece of our success over these decades. Spruce Up the Salon for Summer! So…..it’s time to get back down to business and get into the business of Summer. Now is the time to crank up the business of beauty. $ Get a staff meeting together and go over these (and your own) promo ideas. See what ideas generate the most excitement and appoint people and set dates for getting the projects going! Introduce JITA the just in time appointment feature of MIKAL to fill the book. Get EMBA for the staff and they can go CRAZY booking all over town on their smart phones. $ Clean the salon/spa from top to bottom. Paint a few walls and make a few small changes. Move some plants and displays. Decorate for the season! $ Have everyone get dressed up. I don’t mean formal but every spring people get a little casual. It’s time to change our look and the change should be professional and upscale. Have a staff party to get the excitement going! $ Get into the Summer colors. Make sure your make up is right for the season and coordinates with your new look! Get the staff together for a make up session and new fashion review. $ Start your Referral Contest July 1st and end it on October 1st . Pick your prizes, do your precontest mailing/e-mail September 3rd, and get the signs up in the salon/spa. Call us for a free 11 page Referral Contest planning book. How would 50-100 new customers sound in the next 60-90 days? $ Get your front desk staff to commit to cleaning up the customer data base in the next 60 days. All of your regular customers will be in for the season. Run a list on your MIKAL system of all customers with Invalid addresses. The goal is to verify every customer’s address in the next 60 days. Check on the progress by running the Invalid Addresses report for all Last Visits in the last 7 days each week. The report should be blank every week if the front desk staff is cleaning up the list! $ Get your Gift Cards on order NOW! Call RACO Card 866-940-4676 for a free sample kit. Order the Gift Card option is MIKAL’s SMS software and ask for our free information pack on promoting gift cards. Gift Cards will make a huge difference in your sales over the old gift certificates. NOTE: beware of companies giving you gift cards for use with their Internet or bank card systems. The costs for the processing of the card every time it is swiped become a huge expense and if a customer loses their card there is no way to cancel that card and charge the balance up on a new card. Call us at MIKAL to make an informed decision. Also revisit a switch in credit card processors. X-Charge and Charge It Pro, our credit card processing partners has a special deal and amazing rates waiting for you to switch! $ Increase your Nail service prices now at the strart of the summer season. This will give you an additional boost to your income and the customers are coming in for that popular service during the Summer season. $ Sign up for the Autopilot Marketing system from MIKAL. The business can get hectic. Don’t let your marketing Spring by the wayside. Put it on autopilot, and make sure you stay busy when summer months roll around! Fred Dengler Come to Camp MIKAL Vegas for more ideas July 29-31 held during NAHA, CosmoProf, and great off season rates! 2018 is almost half over! Not where you wanted or expected to be in the business HALF way through 2018???? Resolutions don’t work. The average person keeps them for less than 2 weeks (remember the gym membership, fruit diet, juicer machine etc…;). Why don’t resolutions work? Because it is our human behavior. It is our habit. It is easy. It might even be satisfying. So instead of trying to change behavior why not change the environment, the process, or the system and the behavior will change. Let’s look at every system and process in our business and figure out how we can make it simpler, faster, better for staff and clients, and of course more profitable. The front desk is an area of on-going frustration. Turn over of staff, poor client service, down time is not used to clean, organize, do confirmations, and retail and rebooking is not a priority. So do we resolve to put as much time into the front desk as needed to change these things? Do we clean house and hire new receptionists? Is that our Resolution, to have a Revolution? Ready to go all Tabitha on the desk? How about putting in message on hold and call queue option on the phone to auto hold calls if not answered in 2 rings so the front desk can finish sales, rebook, and close retail without interruptions on putting people on hold? -	Support system involves giving the upsell offers in your message on hold. -	Education needs to happen so staff knows how to handle the call queue option. How about giving a bonus when the receptionist rebooks a client, upsells a service, converts a price call to a booking, and sells NEW retail items to a client? The desk would be rewarded to do the things you want them to do. Sales would increase, retention would go up, and the bonus would increase wages so they would not leave over a fifty cent pay increase from a company down the street. -	Support system involves setting spiffs for rebooks, upsells, add on sales in MIKAL. -	Education needs to have scripting in place to deliver the offers. -	Support system needs to give clients loyalty points for rebooking automatically. How about setting up the receptionist goals so every week they get a report on how they are doing compared to your expectations? If the present desk staff can’t embrace these positive steps how about hiring people that are going to embrace your systems? So we Evolve with changes to the systems and the process allowing the people to change their behavior. You can manage the process instead of the people. Why not do this for other areas? Retailing – what can be changed to make retail easy? Professional inventory- what can be put in place to track and fine tune inventory? Stylist behaviors – what can be put in place to reward positive behaviors? Social marketing – what can be put in place to make it automatic and effective? Let’s think through these areas and enhance the process and systems. Come to the Camp MIKAL VEGAS and brainstorm these areas on Total Overhaul Tuesday! There are a few “slots” left for the seminar. That's right sell giftcards in the SUMMER! - Do a corporate gift card special call for example flyers. Companies are looking for easy feel good benefits for their employees and you have the perfect solution. Get a client that is in sales and out of work and get them to canvas local businesses with the flyers. Give them 10% on the cards they sell! Use our giftcard option to track this. - Do DOUBLE POINTS on Mon-Wed to keep the business going through the summer. Do an e-mail to all clients who have been in on a discount reason code and offer them a DISCOUNT during non-prime times and with staff that needs to build! Use our LOYALTY POINTS PROGRAM to manage this. - Sell Memberships for Massage, Manicures, Pedicures, or Facials for the summer ONLY - 3 months, 6 services, prepay for a discount or sign up and track with the MIKAL Membership tracking in Accounts Receivalbe with automatic billing to client credit cards. Be proactive – June is HERE! Book Camp MIKAL NOW and use the $100 software option coupon NOW to get Membership Billing or Gift Card tracking! WOW was the MIKAL Salon and Spa Owner Success Club meeting great. See the ideas below and you can’t beat Las Vegas! Interview groups for the first cut. Use a team of staff to do it. Cut half the applicants after a few group questions. Then get serious. Test your best team members with Meyer Briggs and then test applicants. Hire the ones like your best team members. Don’t hire people the test like you! Use a little stress in the interview. Have 2 people interview the applicant at one time. Ask tough questions about last job. Ask them to sell you a pen in the interview. Always ask about hobbies, what magazines to they read, what do they like to do on their time off. Look for people that have interests and passions about things. Use Craigs list for applicants. Sign up for the state Job1 or Workforce1 program so the applicant ad gets uploaded to Monster free! Do interview off site and always state in ad it is a confidential interview. The first phone call to the applicant needs to be an interview. Ask questions allowing them to sell themselves in the interview. Have an interview presentation kit. See the MIKAL PDF for ideas. Always list the job benefits and the critical requirements. If a staff member leaves do not give out their new location. Say “they have not authorized us to give out that information” when a client asks. Use the 4 step MIKAL client retrieval mailing and emailing to keep clients when a stylist leaves. Set up Advanced goals in the MIKAL system. Also receptionist and managers goals. Put them in the paychecks! Don’t let staff go to next price level until retention is at least 80% repeat request. Salon normal new client retention is 30% - ouch! Work on welcome book, walk up script, and client exit to improve new client retention. Align with a good reputation management company that has strong local track record to push good comments and improve rankings. Check their referrals locally! Use JITA with all the filters! Use EMBA to book right at the chair or in the room before the client goes to the front desk. Review the Demandforce option – it may be right for you! Get your Upsells in place in the prototypes and spiff the receptionists who deliver the upsells. Start tracking the upsells, rebooks, and cancel no rebook in the MIKAL system. Set receptionist goals in the MIKAL system. Activate all the autopilot offers. Subject needs to only be 3 words. If the marketing does not create a phone call is not good marketing! Update your Google Places and activate your Google offer TODAY! Use surveys in salon/spa and on-line for feedback. Try the free surveys in Survey Monkey and Google Drive. Was the receptionist nice and accommodating? Did the service provider listen and do what you asked? Were you taken on time? Get the loyalty points program going now. Roll all your rewards into the points program including referral rewards, prebooking, new client points, and early week bookings. Make it about a 2% cash back on sales. Only let the client redeem 50% of a sale for points. Set this all up with your MIKAL reps.
Get a referral contest going! Get 60 to 120 new clients. That’s it for now. Wow what a bunch of great ideas in 3 days. of 34 years experience in helping salon and spa professionals manage and market their businesses. Get MIKAL and DemandForce for the ultimate management and marketing system! NOTE: MIKAL will get you up and running FAST. We build your service menu, load your retail inventory, employees and booking rules and convert your client data from any Excel format! You get detailed training and fast integration. SAVE $250 on the MIKAL set up with DemandForce. 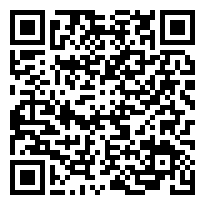 Use the QR Code to load the sample MIKAL salon and spa app. Try out on-line booking and EMBA using ID # 1 and password mikal We can tailor the app to your needs and integrate it immediately into our suite of options. Clients can book on-line, staff can book and review client info on their phones, and you can market with coupons and push notifications - we set it up and manage the app for you! See the Mikal app on your desktop computer or download the demo version on your phone from here. We will set up your app, tie it into your client base, get all your clients using it for on-line booking and give you a new way to keep in close contact.